Providence, Rhode Island is one of the oldest cities in the United States. It's the largest city in Rhode Island, the country's smallest state in area, which was one of the original 13 colonies. It's situated on New England's largest river estuary, at the head of Narragansett Bay. The home of Brown University (one of the Ivy League schools) as well as numerous other institutions of higher learning, Providence was also one of the first cities in the USA to industrialize. Description: Can a city look pretty in the middle of February? A tall order even for the prettiest cities. The soft light of the setting sun can help. 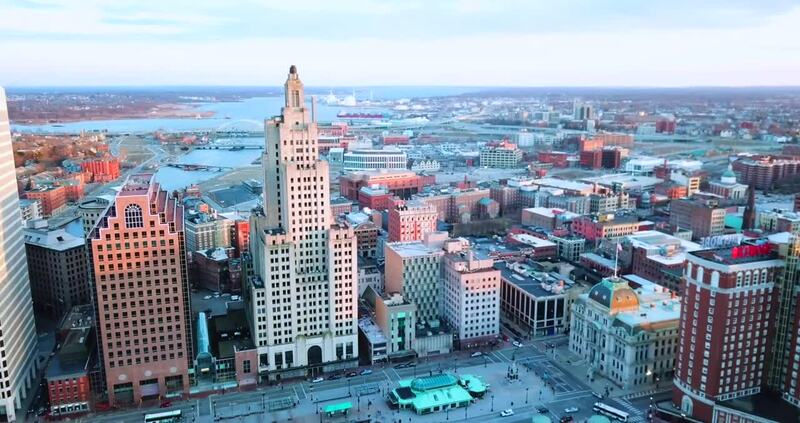 A very short drone video of some of downtown Providence landmarks, including the Superman building. Music by Philip Glass.